to expand to a new facility for their North American operations. The Australian-based slot machine manufacturer needed a building that could serve as their North American Headquarters and was capable of meeting both their manufacturing and distribution needs. GSL Electric was part of the team that Martin-Harris Construction put together to make this project a reality. As a design-build contractor, GSL provided both the electrical engineering and the installation on this project. The complex was designed with over 80,000 square feet of administrative office space, where Ainsworth’s executives, programmers, and artists could develop new gaming products. 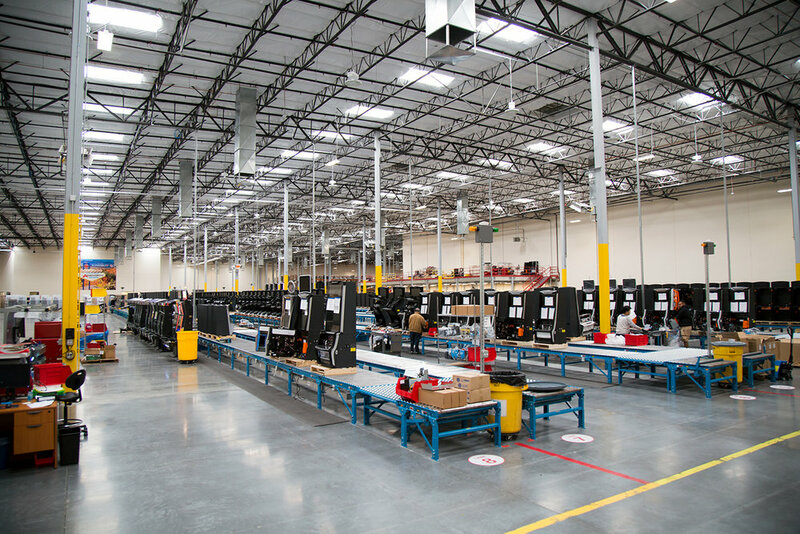 A massive 140,000-square-foot manufacturing warehouse allows for the on-site manufacturing and distribution of these products.